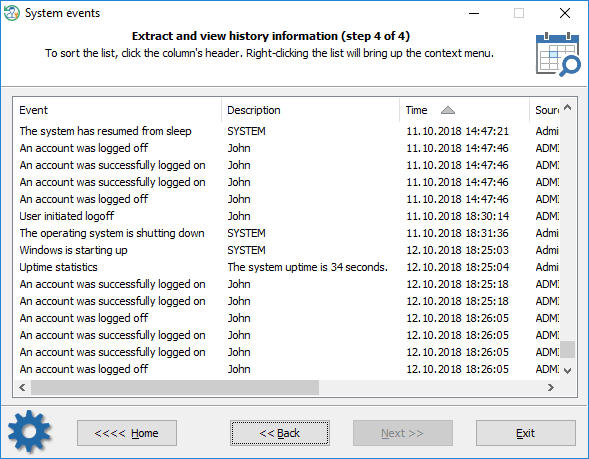 All Windows OSes log various types of events that occur in the system time to time: errors in device or driver installations, application failures, security notifications, etc. Events help users and administrators to eliminate errors, perform diagnostics and monitoring the system, maintain its security. Events are stored in *.evtx files and are recorded in chronological order. Every evtx file corresponds to a specific event source or to an operating system component. For example, system.evtx keeps tracking of common system notifications. Security.evtx holds all security events. And so on. The system event viewer is a simple tool allowing to display major events that occur in Windows Vista and later OSes. For example, starting or shutting down the system, logging on/off user accounts, drivers installation, etc. 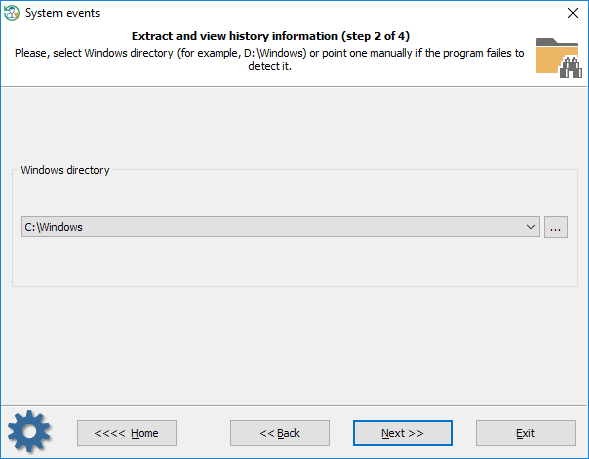 First, you must select the Windows directory that holds the event logs. Typically, C:\Windows or D:\Windows. On the next step, you can additionally configure output filters to display events that occurred in specific time. There's also an option for displaying all events (even unknown to the program). If the option is set, the program outputs known/major events only, all events otherwise. Collecting and processing the information may take considerable time, depending on the size of *.evtx files of the target system. 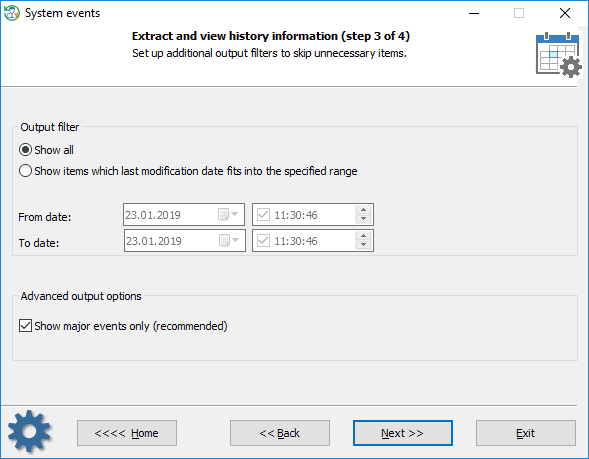 In order to hide some certain records that are of no interest to you, right-click on the list of events and select one of the corresponding menu items. To sort the list, click one of its headers.